Whatever you choose, it is probably a mistake to send faded or withered blooms, unless you mean to offend the recipient. While rosebuds in any colour symbolize youth and beauty, full blooms can have a host of meanings so read on to be sure you send the right message! Red roses convey deep emotions, and symbolize love, romance, passion, desire, courage and respect. 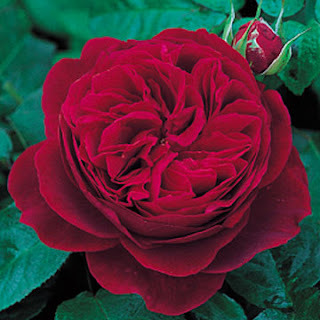 In addition, dark red and deep burgundy roses signify unconscious beauty. But send withered red roses at your own risk - this means your love is definitely over, and if it wasn't beforehand, it almost certainly will be after the recipient receives them! 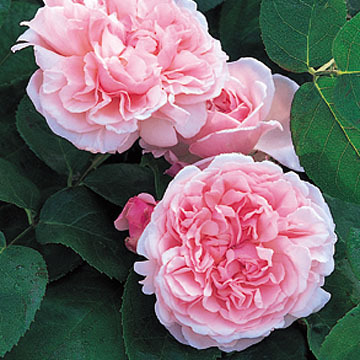 Pink roses symbolize gentle emotions such as admiration, gratitude, elegance, grace, and sweetness, as well as happiness, appreciation and sincerity. 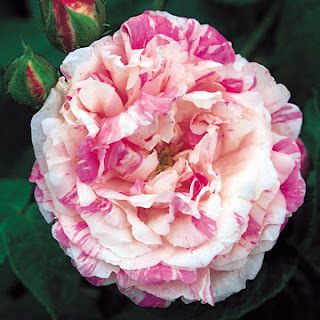 Choose light pink roses when you wish to express admiration, appreciation or gratitude, or dark pink blooms to express appreciation, admiration, and deep gratitude or simply to say "thank you"
Lavender or lilac roses signify elegance and enchantment. Darker, more purple shades of lavender roses convey a sense of regal majesty and splendour, and express fascination and adoration. 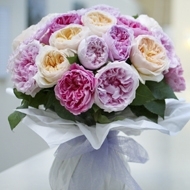 Lavender roses convey the message "love at first sight", so choose these if you really want to make an impression! Green roses are actually off-white roses with shades of green. 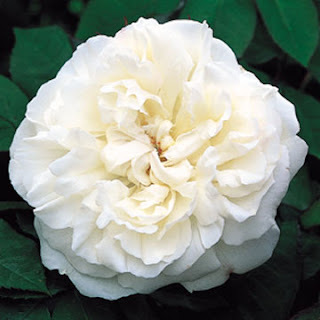 Green is the colour of harmony, of opulence, of fertility, expressing peace and tranquility, so green roses are a perfect choice to say "happy retirement" or "get well soon"
There are no true blue roses as, like the perfectly black rose, a perfectly blue rose is still elusive. 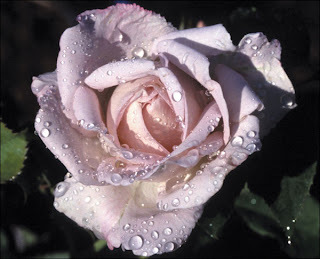 The pigment structures within roses mean a blue colour cannot be bred naturally so, although some light lavender roses appear to be blue, blue roses are usually dyed white roses. Because they are so elusive, blue roses represent the mysterious and the impossible. They therefore embody the desire for the unattainable, so choose blue roses if you want to convey the message "I can't have you but I can't stop thinking about you"
You can create your own bouquet of emotions by mixing roses of particular colors together. For example, a bouquet of red and white roses expresses unity and passion so is perfect to send to your new fiancee. A bouquet of white and yellow roses conveys harmony and togetherness, while red and yellow roses sent together expresses happiness and is a perfect choice for a celebration. A random mix of roses would convey mixed feelings or "I don't yet know what my feelings are but I know I like you enough to send you roses"
So, now you know what each colour or combination of colours means. In a future post we'll look at what message is conveyed by the quantity of roses in your bouquet, and how many you need to make just the right statement! 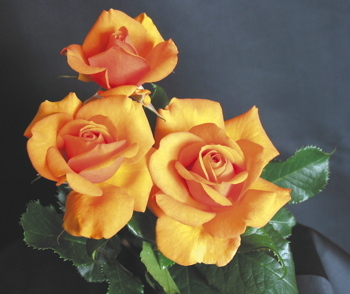 But in the meantime, do please bear in mind that even though you now know what the roses you are giving signify, the person receiving them may not! They may be completely unaware of the hidden meaning in their bouquet, so you may not get your message across without speaking the words themselves! Thanks Erica that was cool! Stop by my shop some time. 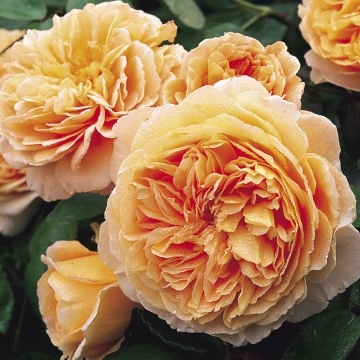 I love roses, and I can smell these from here! So beautiful. 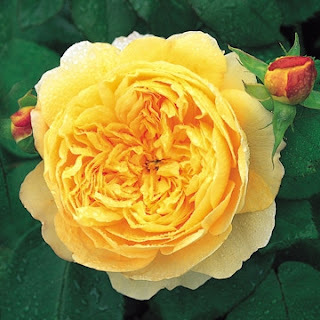 I love yellow roses. Who would of known there were some many colors and meanings. Thanks for sharing.